I love eating out and trying new food, but while sometimes it may seem to be the easiest option, it's not always the healthiest option. After a long day, there never seems to be extra time to devote to a good home cooked meal. A quick and easy meal is a must, but it also needs to be flavorful, delicious and fit into my families healthy lifestyle. 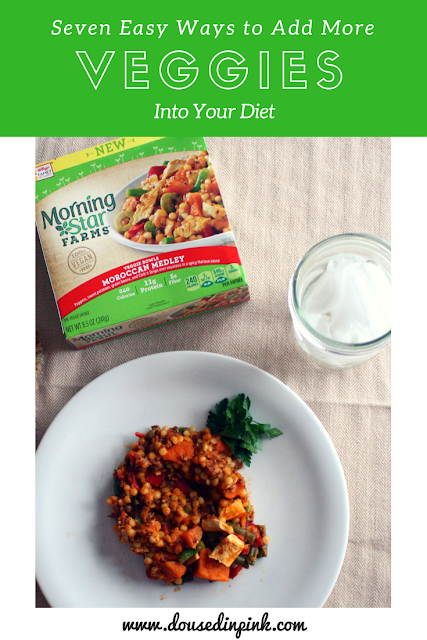 I recently tried MorningStar Farms® Veggie Bowls. These veggie bowls are not just for vegetarians! They're great for everyone from busy families, anyone who is health conscious, or even someone who just wants to sit down and relax after a long day. Getting enough vegetables into your diet is not always easy and they not only taste great but are an uncomplicated "as is" meal solution. I found the Veggie Bowls at my local Jewel in the Vegetarian Options section in the Natural frozen food aisle. The Moroccan Medley is delicious and there are four other Veggie Bowl options including Chik’n Pot Pie, Chik’n Tikka Masala, Italian Sausage Bake, and Japanese Soba Noodles. Want to know the best part? It's a simple way to substitute veggie for meat in a meal and you'll be eating healthy in 5 minutes when you choose a Veggie Bowl for dinner! Even if you like veggies, getting in the recommended servings each day is not always feasible. When you're busy and on the go, it's even harder. 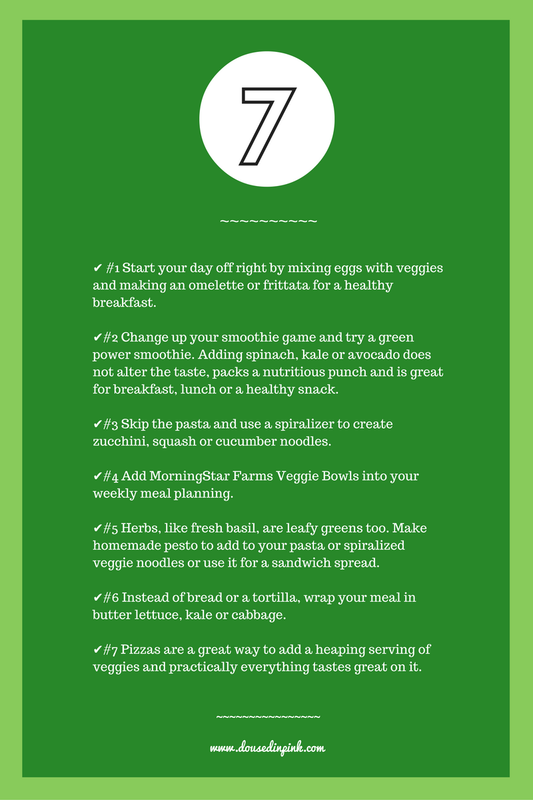 Use the checklist below for seven easy ways you can incorporate more veggies into your diet everyday. Don't let your busy lifestyle get in the way of your healthy lifestyle! For more information on MorningStar Farms check out their My Way to Veg page. You can also follow them on Pinterest, Facebook, Twitter and Instagram.